In most cases, renting a limousine is pretty simple and straightforward. However, if you want to really enjoy your ride and have a pleasurable limo experience, you might want to consider a few factors first. Limo services can be very varied but you do have the possibility to customize them according to your desires. Even better, you can make reservations online with little to no effort and save a great deal of time. Here is what you need to remember when renting a limousine for your personal traveling needs. Are you traveling alone or with your wife? Or perhaps your entire family? A group of friends? It is important to know exactly how many persons will be in the limousine, so that you can rent a more spacious or a less spacious vehicle. If you are going to pick someone up from the hotel or airport, try your best to approximate the total number of persons and rent a limousine accordingly. Speaking of picking someone up from the airport, maybe your companion carries a lot of luggage. In this case, you might want to rent a limousine which features more luggage space. 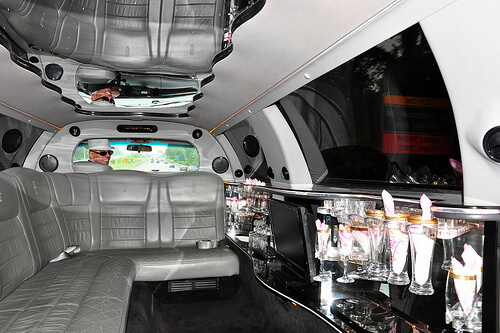 SUV limos are perfect, for example, as well as stretch limousines or even van limousines. Also, remember to communicate the type of luggage when you make the reservation, especially if you are transporting golf clubs or other types of unusual cargo. Some limousines are more luxurious than others and they are more suitable for very special occasions like weddings, corporate travels and so on. Obviously, you will pay more for such exquisite services and they might include comfortable seats made from leather, more safety services and so on. However, if you do not need this level of luxury, a normal sedan limo is perfect for you. Especially if you are traveling long distances or with important people, you might want to fully customize the interior of your limousine. For example, you can get a mini bar stocked with fine alcoholic and non-alcoholic beverages, different types of interior lighting options, flat screen TV sets on the back of the head rests, advanced musical equipment, internet connectivity and so on. You can even rent a selection of your preferred movies and watch them while you arrive at your destination. 5. The experience of the drivers. This is another important factor to consider because it is strictly related to your safety and security. Make sure that you always go for professional drivers who have a lot of hours of experience and who are also polite and attentive with your preferences. Usually, such drivers are hired by trustworthy limo companies and it is not hard for you to find them. Actually, it is not hard at all. Our company has an impressive fleet of limousines in great condition and our drivers have been carefully selected and trained to cater your every travelling need. We serve Boston and its surroundings and our prices are very attractive. Contact us today and you will be thrilled to see our offerings! When Do You Need To Rent A Limousine? A lot of people think that limousines are hideously expensive to rent and they are only reserved for Hollywood actors or famous businessmen. Well, this is not true at all, especially nowadays when limo services are increasingly inexpensive. If you want to travel with a limo and feel like a king for one day, no one stops you! Here is a collection of situations in your life when renting a limousine is a brilliant idea. Although this might be a cliché already, can you resist the temptation? Traveling with a limousine in perhaps the most important day of your life is something you have always wanted, isn’t it? You shouldn’t miss out the chance of feeling special in the day of your wedding and your soul mate will definitely love this too. There is no need to let your family members, friends or perhaps your clients and business partners wait at the airport. These services can be fully tailored these days and they will help you make a great impression. In addition, you will enjoy a fine and safe ride in the company of your loved ones or your business partners while traveling back home, at the hotel or at your company. Want to explore a brand new city? A limo is perfect for this job. You can set your own itinerary, sit back, relax and enjoy the views. This is the perfect way you can get acquainted with a big and beautiful city, especially if you do it with someone you love too. In a similar fashion, you can rent a limousine in order to reach various venues quicker and easier. For example, you can travel with a limo to a famous restaurant in order to have a romantic dinner with your wife. Then perhaps you might want to go to a club or visit another interesting place. The limo chauffeur is at your disposal and he is more than happy to open the limo door for you as well! Are you eager to see your favorite singer or band concerting in your town? Well, in this case, all that you have to do is to speak with your friends and rent a large limousine which will take you there in a comfortable manner. You can make arrangements to pick up friends on the way, you won’t have to worry about parking spots and you will also arrive home safe and sound too! You should proceed in a similar fashion if you need to go to a party, important event, at the stadium or everywhere else. These are only a few places where you can travel with a luxurious and beautiful limousine, but there are many other options to consider, based on your need and preferences. Regardless of your destination, make sure that you contact our company and speak with our specialists. We can provide you with any type of limousine you want and your ride will be as smooth as silk! 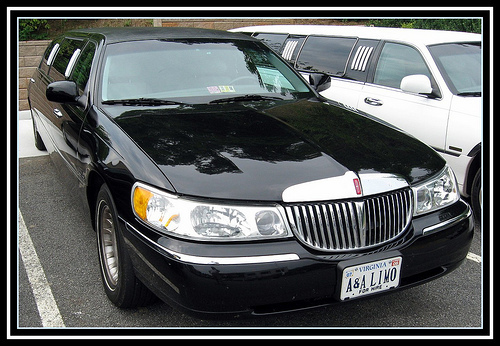 Which Of The Following Limo Types Is More Suitable For Your Needs? When you picture a limousine in your head, you usually think of a long, stretch vehicle, usually in black and extremely elegant. Well, this is just one type of limousine you can rent these days. There are other types of vehicles which are specially modified to meet the requirements of various clients and in order to provide the best, smoothest and safest ride possible. Read this article and find out which limousine type you like the most. They are large vehicles, elegant and very well equipped. These limousines provide sufficient space for 4 persons, so feel free to bring your family members or friends with you. Also, they have a decent luggage capacity and they move swiftly and easily in a city. Opt for those limousines if you need to travel somewhere and you don’t have a lot of luggage with you. These are the ones you think of when you hear the word limousine. They are very imposing, elegant and they can comfortable accommodate 4, 6 or even more persons. They also feature sufficient luggage space and most importantly, enough leg and head room. Therefore, if you are a tall person then you will feel very comfortable in here. 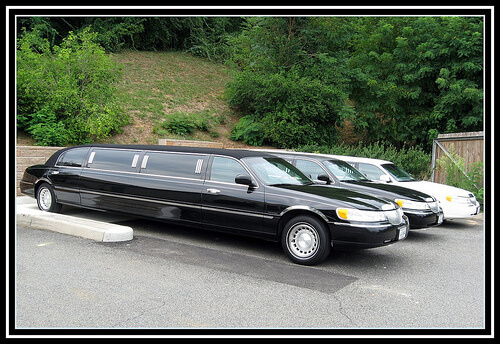 Choose stretch limousines if you want to arrive somewhere in style and attract all the attention towards you. These vehicles are basically normal SUVs, but they are modified in order to be more comfortable, safer and luxurious. Again, they are great for making a great impression and they can easily transport a large family in great comfort. In some cases, SUV limousines are also capable of achieving higher speeds and they move in a town easier than stretch limousines. If you need to transport a lot of people or luggage then you should opt for van limousines. These vehicles are specially modified to offer more space, so you can transport a group of 6, 8 or even 10 friends with little to no effort. They also feature a lot of equipments and your ride will definitely be a pleasurable and safe one. Yes, they are exactly what you think they are: buses transformed in limousines. Obviously, you shouldn’t rent one unless you are a group of 10, 15 or even 20 people. These vehicles are hugely spacious, they provide equipments and services which can be tailored according to your needs and they are surprisingly comfortable too. Bottom line is, you will definitely not go unnoticed in such an imposing limousine! Now that you know what your options are when it comes to limo services, make sure that you carefully assess your needs and you rent the right one for you. These limo types can be rented for various prices and if you want to save money and have a comfortable ride then you should make the right decision. Our professionals can help you in this regard, all that you have to do is to contact our limo company today and tell us where you want to go. We will do the rest! While In Boston, You Must Stop And See Those Amazing Touristic Attractions! Boston is the capital city of Massachusetts and a wonderful place to go if you want to see magnificent things and learn brief history lessons. There are museums waiting for you to explore here as well as cute and attractive coffee shops and bars which beg for your visit. If you are seriously thinking to set Boston as your next vacation destination then read this article and discover some touristic attractions you must see at all costs! Here you have the chance to travel in Swan Boats which are a special type of boats that look like a gigantic and beautiful swan. If you visit in winter then the Boston Public Garden allows you to improve your ice skating skills. Definitely a must-see, especially if you are visiting with your kids. Another touristic attraction which worth exploring with your children, the Museum of Science in Boston features a large planetarium, an IMAX theater and many other interesting things! 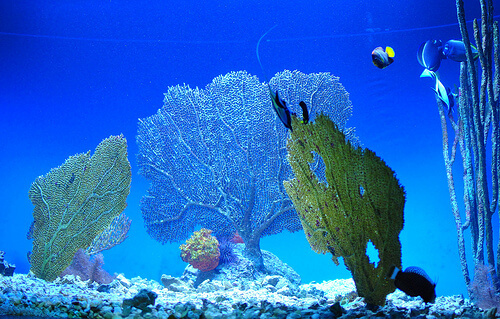 Once you finished with the Museum of Science you should head straight to the New England Aquarium, an increasingly popular attraction for families. Here you can wave at sea lions, see penguins walking around and even check the poisonous fish tank. Nowadays it is known as Xfinity Center and it is an outdoor amphitheater with a large seating capacity, located at 30 miles south of Boston. It is best to take a limousine in order to arrive here safely and elegantly and enjoy amazing musical performances from famous artists all over the world. 5. South Shore Music Circus. This is another place where you can go if you want to listen to beautiful music and have a great time with your friends and family members. South Shore Music Circus hosts a variety of musical events you shouldn’t miss out while you visit Boston. If you get tickets earlier on, you are eligible for discounts. This indoor arena will provide you with an unforgettable experience, whether you assist to sporting events, concerts, family shows and a variety of other types of gatherings and meetings. Do you like hockey? If yes then you might want to see a great hockey match of one of the best teams in Massachusetts: Boston Bruins. Nothing compares with the thrill and excitement a hockey match can offer you and your kids will be delighted as well! These are some of the most enticing and attractive places you should visit in Boston. Make sure that you plan your itinerary carefully and you try to check as many touristic attractions as possible. Also, if you are thinking about how to reach to these events and places then let us help you in this regard. Our company features an impressive fleet of limousines and we are more than glad to transport you wherever you need to go. Make sure that you contact us today and tell us more about your traveling needs. Our prices are affordable and our drivers are also very experienced as well. Boston is a very beautiful city – a perfect place to enjoy history and culture. If you are planning to visit Boston with your family, here are some of the most wonderful places that you and your kids will enjoy. Science is a subject that has always been fascinating to kids. When in Boston, you should definitely consider taking a trip to the Museum of Science. It boasts of its collection of more than seven hundred interactive exhibits. One of its features that kids would enjoy is the butterfly garden since they would get to let butterflies land on them. There is also a theater, the largest of its kind in New England, which can be found at the Red Wing. Anybody who loves birds would definitely want to check out the exhibit, A Bird’s World. While there, you should be on the watch for any live presentations or shows conducted once in a while. Another interesting site to consider is the Boston Children’s Museum. It is open every day from 10 am to 5 pm. During Fridays, the museum is open until 9 pm. It is a must-visit especially because it is the second oldest children’s museum in the US. Nearing its one hundredth year, the Boston Children’s Museum has given joy to a lot of people – both kids and adults alike. The museum focuses on promoting culture, science, arts, as well as health. One of its most popular features is the New Balance Climb, a three-story climbing structure for kids. Other interesting features include the Science Playground, the Kid Stage, and the beautiful Japanese House, to name a few. Kids really love animals – no doubt about that. That is why you would want to take your family to one of the most popular zoos in New England which is the Franklin Park Zoo. Founded in 1912, the zoo has since been putting so many smiles on people’s faces. Even through its toughest times, the Franklin Park Zoo still did not close. It features so many animals, most of which have been rescued. Some of the rare animals kept here include tigers, camels, African wild dogs, and an Amur Leopard. 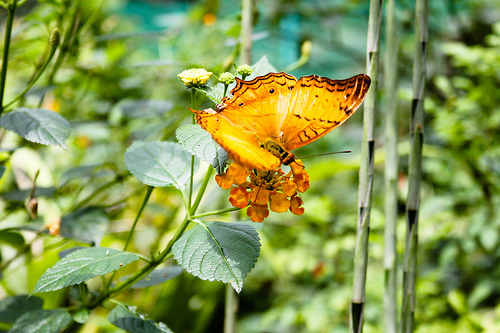 There is also a seasonal butterfly house that is a home to one thousand butterflies in free flight. The zoo has some snack shacks in case you get hungry. But it also has a number of picnic tables that are perfect for a family picnic. Of course, getting to these places might be a little bit tricky especially during the rush hour. There are times when the subway trains and buses are packed with people. You would want to get to the sites and attractions in the soonest time, do you? It is advised for you to go for car hire services, especially when you have young kids with you. Boston City Ride is the company to consider. We offer a fleet of beautiful vehicles that are ready to tour you around the city of Boston. 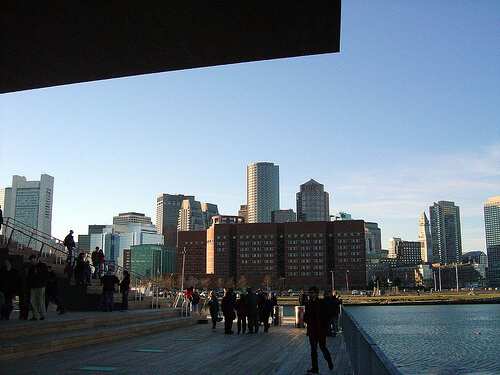 Boston city is deemed as one of the easiest and safest cities to explore in the U.S and for a good reason. The city offers visitors history and cultural lessons while allowing visitors to stay in shape. The city is often referred to as the most fun cities in the U.S., providing travelers or any other tourists with sufficient opportunities for an active and healthy vacation. Visitors can also experience history while experiencing the city first hand since they have lots of historical sites of attractions. Visit any of the many parks around Boston to stay fit while in the area. There are a number of popular parks near the Boston area where you can take in fresh air and at the same time taking part in your daily exercises. While at it, don’t forget to visit HarborWalk, a park that is located near Deer Island. This unique park has a 4.6 mile path that is surrounded by art sculptures and exhibits. The said path is a perfect exercise venue for a busy business person who wants to take a break in whatever it is that brought him or her to Boston city. The path is also perfect venue for rollerblading and running. Other parks to visit while in Boston city include the Haborside Skate Park, a park that is suitable for a more extreme business person who likes getting outdoors and doing flips and other tricks. The park offers various standard basket ball courts and a number of athletic fields to visitors. These all backs up to the waterfront and people in this park can see ships going and coming in the harbor. Another popular park is he Christopher Columbus Waterfront Park. This park is available to visitors who want to take slow unhurried and thus relaxing walks around the 4.5 acres of grassy expanse that includes a play lot, various sized water fountains, rose gardens and so forth. You often find people playing catch or Frisbee in this park. The WWII Destroyer Young and USS Constitution Museum keep visitors occupied and walking around for hours to end. These two museums offer museum lovers with detailed historical lessons unlike any other around the country. You are encouraged to engage your mind and walking muscles when visiting these museums as they are quite expansive. The admission to both of these museums is free, thanks to the kind sponsorship of the Boston Harbor Association. If you are visiting Boston city in company of your kids, then make sure to visit The Boston Children Museum. It is located along the Fort Point Channel and has everything to interest children to exercise. The entrance fee as of June 2010 is $1 per person and admittance is from 5 p.m. to 9 p.m. on Fridays. If the above activities do not interest you, then probably fishing is your thing. Visiting the Boston Wharf does not have to be all about exercising or walking. Get outside and do fishing around the Boston area. All in all, whether you want to learn more about the founding of the nation, experience Boston on a budget, get out and exercise, there are different options available for all travelers. A little research online is all it takes to find a unique attraction to accommodate a healthy lifestyle while visiting Boston City. To start with, stretched limousines are elegant vehicles that a number of people love to hire in order to pick or take them to the airport or for special occasions. These cars in most cases are looked upon as status symbols and thus people in power or successful individuals in general like hiring them for one transportation purpose or another. As it is, it is absolutely awesome to see a person riding in any of these stunning autos. However, before rushing out there to hire a limo for whichever your purpose, there are a number of things you need to know or look out for. Read on to find out! Hiring a limousine for private use means spending a great deal of money. As such, it is crucial that you know a number of things so as to choose a service that best suits your requirements and personal preferences. Ask the service provider to clarify certain things in regard to the hire. It is absolutely important to be sure about the service you are about to hire. Note that any limousine service provider worth his or her name will gladly answer your questions, no matter how awkward they might sound. Here are some points to consider before rushing out there in the market for a wanted rental limousine. The majority of limousine service providers will charge you for travel time that is taken to and from where they are located. As such, it is important to perform some initial research so as to get a service provider charging a reasonable charge before making a selection decision. Remember that hiring the services of a local limo service provider will or might save you some money on travel time charges. This is one of the most important factors to consider when searching for a limo to hire. Note that every service provider gives own quotations and rates, and in most cases have a big difference in this regard. All the same, don’t make the mistake of hiring the services of a company claiming to offer the least charges as there might be lots of hidden costs that will quickly add up in your final bill. Although the price is important when hiring a limo, there are a number of other parameters that also need to be considered. While at it, perform some checks in regard to a service provider’s safety record as this factor is not negotiable. Some service providers charge low fees to attract new customers, however, they eventually offer substandard services. Asking questions in regard to a service provider’s working experience is important, particularly if your have a number of service providers to choose from. It is quite rare to find two limousine service providers serving at the same occasions or charging the same fees and offering similar services. So if you are looking for a limo to pick you up after your flight, find out details about its kind of services and what experience it has in impacting the services. 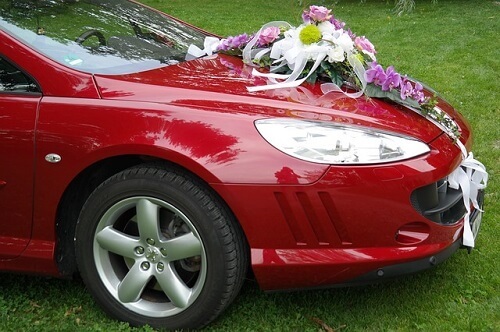 Note that a service provider who is engaged in airport pickups and drop services won’t satisfy your requirements if you are hiring for a wedding. In conclusion, others factors to consider before hiring a limo to pick you up after your flight include the available licenses, insurance, and guarantee for services offered. But whichever your requirements, there is always a limousine type for you to hire. So, what are you waiting for? Go get your special auto to take to you in and out of your destination! Are you a fan of baseball? Then you know Fenway Park is located in Boston, right? Opened in 1912, the Fenway Park has been witness to so many beautiful and very memorable games of America’s favorite past time. From the time it was opened, it has always been the home of the Boston Red Sox. If you are lucky, you get to see the Red Sox practice. 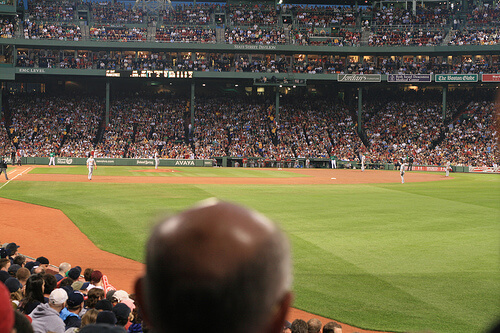 If you get to see Fenway, do not forget to take a photo near popular features like ‘The Triangle,’ ‘The Green Monster’, and ‘Pesky’s Pole.’ Considered to be one of the most popular sports venues in the world, Fenway Park is definitely something that you would not want to miss when in Boston. The TD Garden is a multi-purpose arena which is most commonly known for being the home of the Boston Celtics, one of the most legendary teams of the NBA. The TD Garden is well-known for its very distinct parquet basketball court. It has been the venue for so many great games of the Boston Celtics. It was where the team played during the 2008 Finals and the 2010 Finals – both games played against its super rival team, Los Angeles Lakers. Not only is the TD Garden home to the Celtics but to the Boston Bruins as well. If you are a hockey fan, then you probably know that already. Non-sporting events like concerts are also held at the TD. Another great sports venue to visit is the Matthews Arena. Opened in 1910 and has been in operation since then, it is today’s oldest indoor ice hockey arena in the world. It used to be where the Boston Bruins and the New England Whalers played. Now, it is the home of the Northeastern Huskies. Also a basketball arena, it is considered to be the second home of the Boston Celtics. It is a very historic venue since so many historic greats have hosted events in the arena. These include presidents, Teddy Roosevelt, and John F. Kennedy, Charles Lindbergh, Jack Dempsey, and Alan Freed. If you are a fan of golf then you would want to visit the George Wright Golf Course, located at West Street. Opened in 1938, it is definitely one of the most beautiful golf courses in the country. It was designed by no other than Donald Ross, a reputable designer and golf lover. It is currently managed by the Boston Parks and Recreation Department. From April to November, it is open every day. So if you happen to be at Boston during that time period, you should take the opportunity to visit the George Wright Golf Course. To visit these sites, you can always take public transportation. But public transportation can quite frustrating and inconvenient during the rush hours. This is where touring on a rented car becomes practical. Rent a car from Boston City Ride! 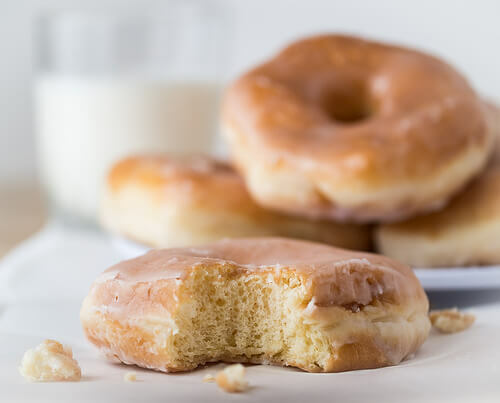 If your taste buds start to crave for sweet treats, you might want to start looking for a good doughnut shop. There are tons of doughnut shops in Boston with most of these being independently owned. Doughnuts are available in various flavors. But of course, you should not leave a doughnut shop without trying the ever-famous Boston crème doughnut. Boston is rich in very delicious seafood. One of the best seafood options to consider is the crab cake. Composed mainly of crab meat, crab cakes are made even more delicious by various ingredients including eggs, mayonnaise, onions, and other spices. Take note that crab cakes are best enjoyed with side dishes. The best side dishes are coleslaw or potato fries. You should also try the famous Boston baked beans. This dish is not composed of just one but several varieties of beans. Their different textures and tastes are what makes the entire dish very flavorful. Historians believe that the early colonials in Boston learned to make baked beans from the natives. It is best enjoyed with cornbread. A simple, unique, yet very flavorful dish that is also commonly served in Boston is the Succotash. It consists of corn, beans, tomatoes, and peppers. The dish is very inexpensive and easy to prepare. That is why it was a very common dish during The Great Depression. It was the Native Americans who introduced this dish to the colonials. If there is one certain delicacy attributed to Concord, that would not be anything else than grapes. Concord grapes are known all over the world for its distinct, delicious taste. Concord grapes are used to make very delicious wine – usually offered during religious communions. Of course, you can also enjoy the concord grapes in the form of grape jelly. If you are from a place where seafood is rare, expensive, or not really tastes good, then Boston is your site where you can enjoy try different types of seafood. Aside from the crab cake mentioned earlier, Boston is also known for having some of the best fried clams in New England. Fried clams are best enjoyed with special tartar sauce. Are you in for trying something exquisite? Why not try pig ears? Pigs ears are definitely a lot more delicious than you think. Most Bostonians love to eat these delicacies every once in a while. Do not worry about these tasting weird. They have been made soft after several hours of cooking and are made delicious with various spices. These delicious delicacies can be found throughout various restaurants in Boston. If you ever plan to go on a ‘food trip’ it would be practical to consider car hire services. Chauffeurs are very familiar with Boston; they can bring you to places that offer certain delicacies you might want to try! In March 1770, a crowd of American colonials were fired upon by a squad of British sentries resulting to the death of five. It is still unclear as to what triggered the shooting. Some say the sentries were provoked by the aggressive colonials while some say the sentries just fired on the colonials for no reason. Whatever the case is, the massacre that happened on King street, became one of the major events that put Boston in the revolutionary side against Britain. 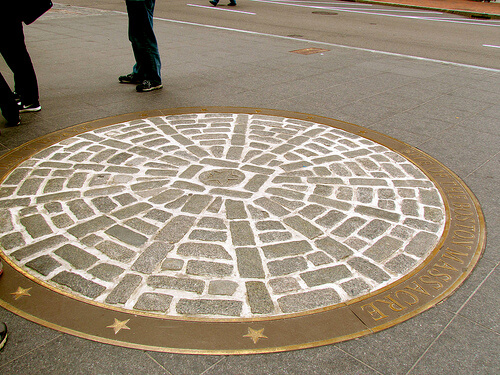 Today, the site is now marked by a beautiful cobblestone pavement and can be located just in front of the Old State House. One of the most prominent names in the history of Boston during the revolutionary war is Paul Revere. He was known for being the patriot who alerted the colonial troops of the coming British soldiers – these troop movements culminated to what became known as the battles of Lexington and Concord. Because of this act, poet, Henry Wadsworth Longfellow, was able to make the every famous poem, The Midnight Ride of Paul Revere. Today, one can visit this patriot’s house and get to see some of the preserved possessions of the Revere family. History buffs will also enjoy checking out the site of the USS Constitution – a frigate that operated during the Revolutionary period and is still afloat today. Because it was proven in battle, it was given the nickname, Old Ironsides. Even after the Revolutionary War, the ship was still able to see a lot of action as it was used in numerous other conflicts the United States was involved in. Today, the ship is considered as a museum ship and is open to the public all-year round. It can be located at the Charlestown Navy Yard , Pier 1. Again, there are tons of historic sites that history buffs would definitely want to check out in Boston. The ones mentioned are just examples. In order for you to make the best of your tour in Boston, it would be best for you to hire a ride instead of taking public transport. This is so that you can easily get to various, historic sites in the soonest time possible. Consider the services of Boston City Ride for your travel explorations!